Best Limousines & Sedans Corporate Services is Bellingham and Whatcom County's Best choice in corporate travel and executive transfers. We will save you time and money. * Great for employee of the month, rewards, incentives, customer appreciations, tours, group and individual travel, sporting and other celebration events, shuttle service and corporate gifts. Don't waste precious time driving yourself to the airport or important business meeting. 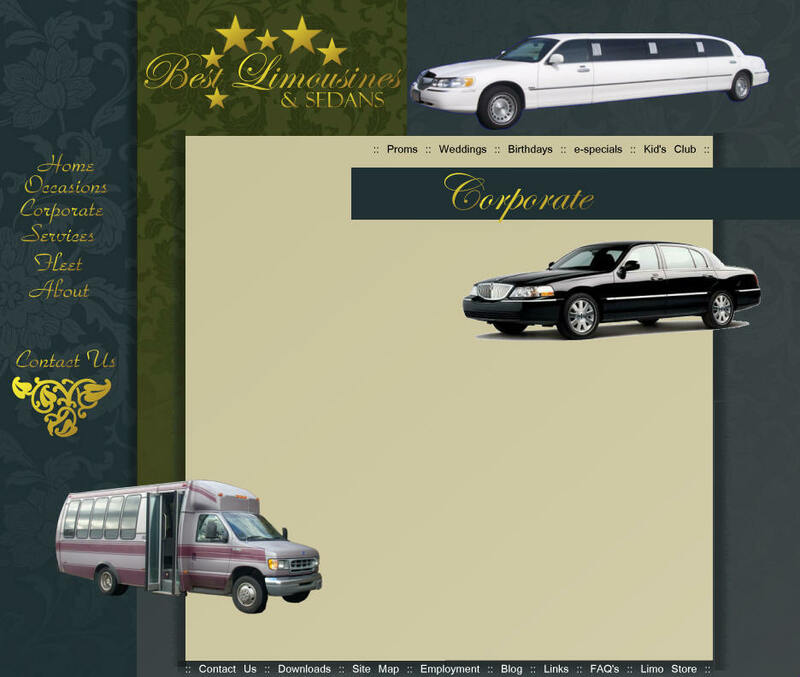 Relax in the comfort of one of our sedans or limousines and set your mobile office. Work on your laptop or make that important phone call. Need to Transport a Large Group? Office car pools are a head ache and individual transportation is not cost effective. Choose one of our passenger vans or mini-coaches. It's like having a mobile board room. Conduct business, maximize team building and help protect our environment by using group transportation. Setting up a corporate account is easy. Just download the application and return it to us via email or fax and you'll have your answer within 48 hours.